A PROPOSED transaction in which Barrick Gold could share profits from its Acacia Mining with the Tanzanian government on a 50/50 basis could have ramifications for the Toronto-headquartered group in other mining districts, said Bloomberg News. The newswire said that efforts by Barrick Gold to extend its mining licence agreement with the government of Papua New Guinea over the Porgera asset might be complication if that government sought to replicate the deal in Tanzania. 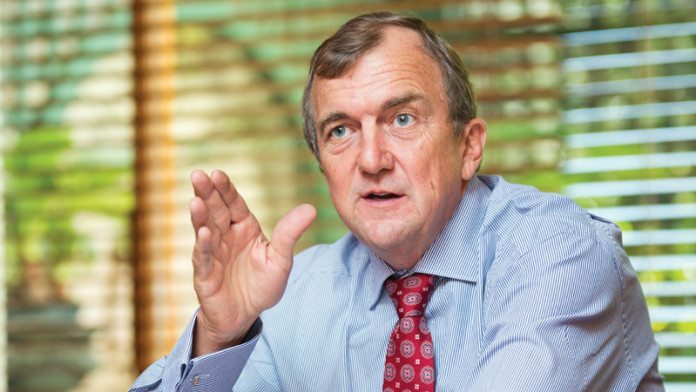 Mark Bristow, CEO of Barrick Gold, has suggested that the company might not divest of Porgera as the company previously suggested. He has also reached out to the new president of the Democratic Republic of Congo, Felix Tshisekedi, in the hope he’ll consider a review of the recently promulgated mining code. All of these events might, therefore, by influenced by the outcome of the dispute with Tanzania which is where the offer to share the spoils of Acacia Mining comes from. Acacia, 63.9%-owned by Barrick Gold, has been in dispute with the Tanzanian government over unproved allegations it owes $190bn in unpaid tax dating back some two decades (including penalties and interest).